Their experience stood out to Kliff, a senior policy correspondent for Vox. She was curious to find out more about these facility fees, which are essentially the base price of setting foot in an emergency room. She began exploring how the fees are set, how much they vary across the country, and how they impact patients’ lives and broader health care costs. Kliff shared her efforts to increase health care cost transparency in a Center for Health Journalism webinar this week. She was joined by Niall Brennan, the president and executive director of the Health Care Cost Institute (HCCI) and formerly the chief data officer at the Centers for Medicare and Medicaid Services, who discussed how his nonprofit organization is also shining a light on rapidly-rising health care costs by making private-insurance spending data more widely available. A key challenge with reporting on health care prices is that hospitals don’t typically share how much they charge. That’s why Kliff reached out to her readers, asking them to share their own hospital bills in an ongoing crowdsourcing effort. The bills came pouring in, with the count currently at about 600 bills from 48 states. Since the project involved personal medical information, Vox created a secure database to house the documents. 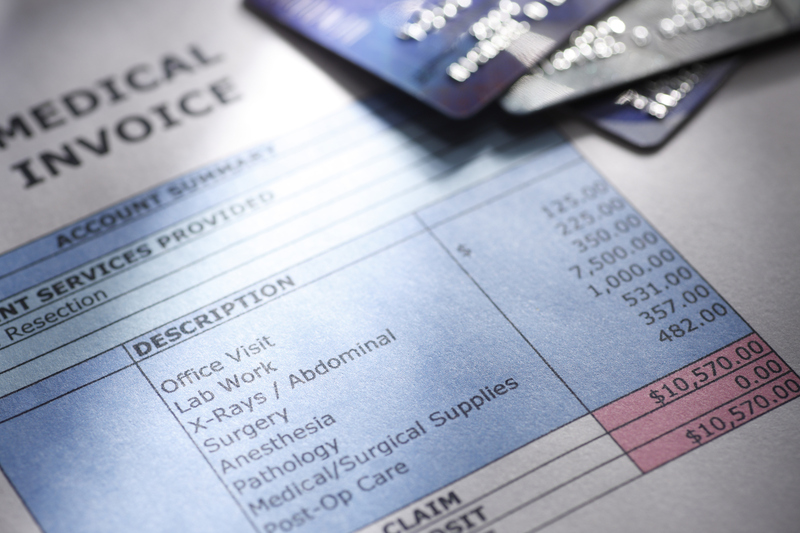 For her recent story on emergency department fees, she also utilized HCCI’s much larger commercial claims dataset to provide a broader context for the bills shared by readers. Kliff also created an advisory network of more than 100 experts who could help by breaking down the often-opaque bills and sharing insider insights. But she didn’t find their expertise the old-fashioned way, by picking up the phone and calling them one by one. Instead, she sped up the process and cast a wide net by using an online call-out. Kliff encouraged reporters to tackle similar health care pricing projects in their own communities. To start, she suggested journalists ask their readers for help by submitting bills through social media. “You just need one interesting bill to start,” she said. Once you have an intriguing bill, start figuring out why costs were so high. Consult experts to decode the bill, be persistent with hospital inquiries, and look for outside collaborators like HCCI to bring extra data to the cost picture you’re painting, she said. Starting with a personal story can make the stories on an otherwise abstract issue really resonate with readers. For example, in her recent ER piece, she opened with a man who experienced back pain after moving furniture. His quick emergency department visit delivered a $3.50 muscle relaxant and an overall bill of $2,429.84. Niall Brennan shared how his institute is trying to bring transparency to health care costs. HCCI uses data from Aetna, Humana, Kaiser Permanente and UnitedHealthcare to research health care spending trends in the United States. The group publishes reports and publishes findings in research journals. They’ve also recently launched a blog called Healthy Bytes, where they’re releasing their first freely available data download on emergency room costs. Along with Kliff, HCCI also worked with the Wall Street Journal for an article on higher high-deductible health plans. On a limited basis, HCCI will partner with reporters to track down data slices from their database to answer various questions on costs. The group’s data can also spur new story ideas for reporters. He pointed to recent trends in health care pricing they’ve found, including growth in inpatient surgery costs and a drop in generic cardio drugs. In the future, Brennan is planning to offer more publicly available datasets that allow journalists to analyze health care cost trends on a local level. That’s on top of data already available through CMS and all-payer claims databases across the country, as well as legislative-driven price transparency efforts in places such as Florida. Brennan echoed Kliff’s sentiment that health care cost transparency is a field ripe for deeper exploration by reporters. “For anyone willing to roll up their sleeves and develop a little analytic capability, there’s plenty of things to play with,” Brennan said.